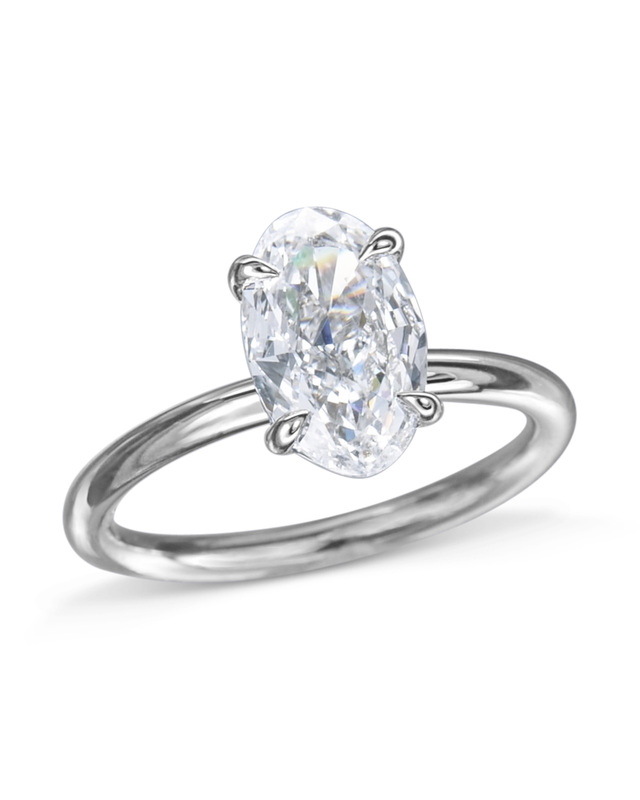 Our delicate oval diamond engagement ring is both feminine and chic. 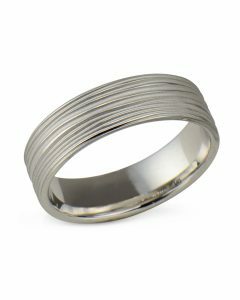 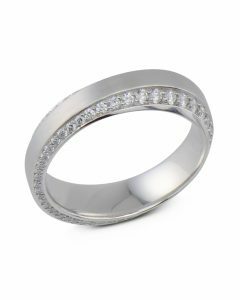 Hand-fabricated in precious platinum, this engagement ring holds a stunning oval diamond center on a rounded comfort fit band perfect for the woman who has an active lifestyle. 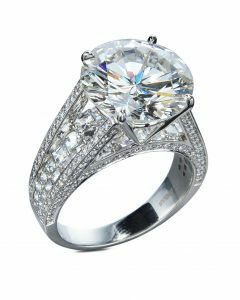 The classic silhouette of an oval diamond offers a chic alternative to a round without sacrificing brilliance and beauty. 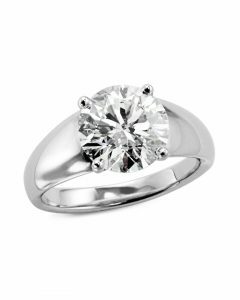 Leave her speechless with this delicate oval diamond engagement ring.